West Ham United 0 Brighton & Hove Albion 3, 20/10/2017. London Stadium, Premier League. 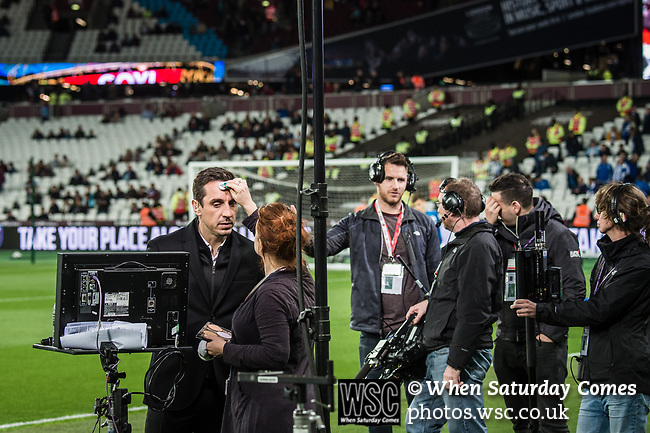 Sky Sports Gary Neville has his make up applied before going on air. Photo by Simon Gill.